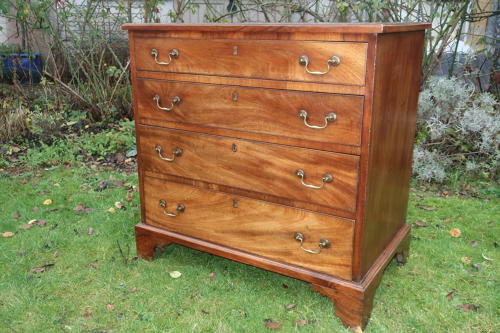 A very original George III chest of drawers of unusually small proportions and wonderful colour, with four graduated drawers sitting on unusual bracket feet , with a cross banding to the top and herringbone stringing. All the locks and swan neck handles being original. All in excellent condition.